The FL150 offers a brilliant high-quality solution for city cyclists that need to visible when riding on the busy roads. 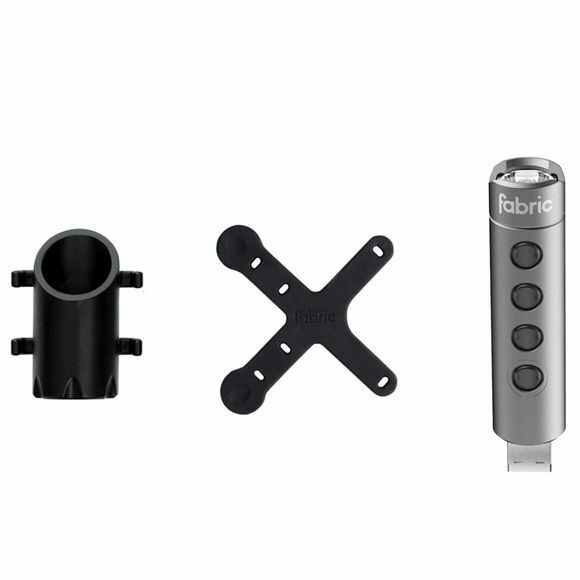 It’s lightweight, durable, 6061-series aluminum body with laser-etched with the Fabric logo, houses a 150-lumen headlamp from market leader CREE and four powerful LEDs, powered by a USB-rechargeable lithium battery which makes it super easy to charge. The high quaity 150-lumen light is backed up with a strip of four LEDs that glow red or white, allowing the light to be used as an emergency ‘home safe’ option. 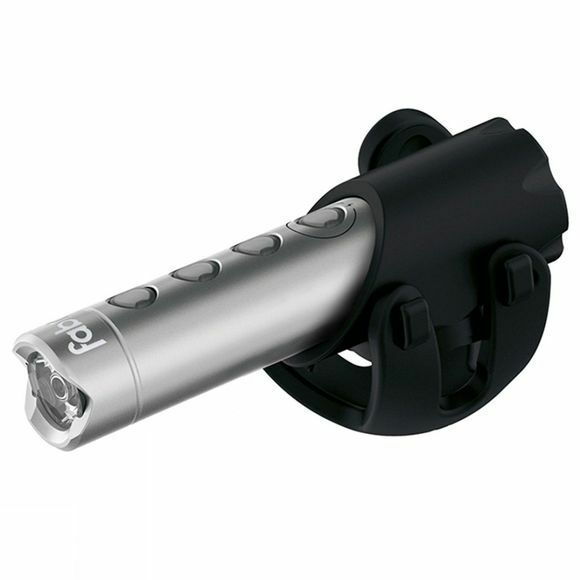 A highly-adjustable mount allows the light to be positioned at many points, on a handlebar or seatpost. It holds the light securely in an airtight grip.